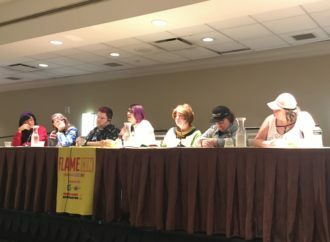 June brings the kickoff of Robotech’s new arc, “Event Horizon,” with Isola writer Brenden Fletcher writing his first issue of the series after the Free Comic Book Day offering. 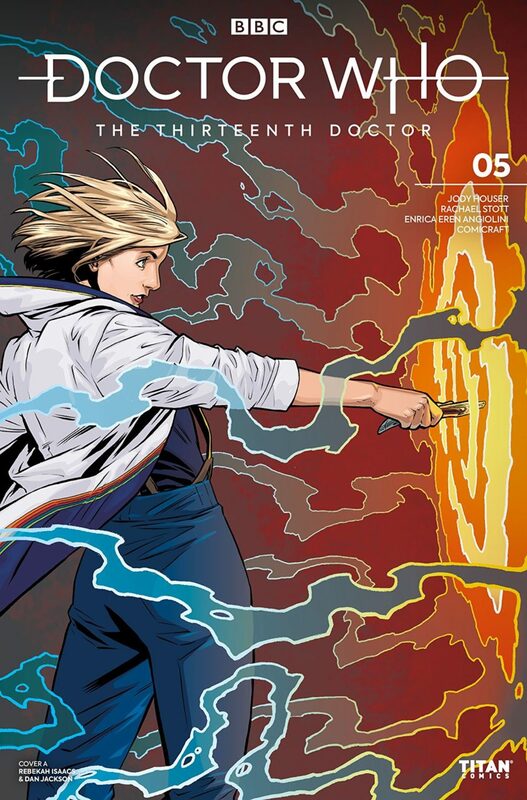 The third arc of Doctor Who: The Thirteenth Doctor also kicks off on June 19th with issue #9. Titan will publish the second trade of Thirteen’s adventures (collecting issues #5 – 8) this August. 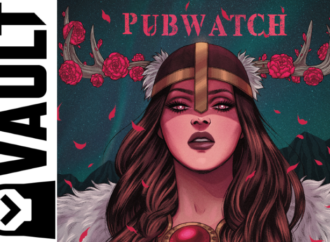 The Hard Case offerings we revealed in last month’s PUBWATCH have release dates. Ryuko will drop on July 17, 2019, with Ms. Tree available the following week. 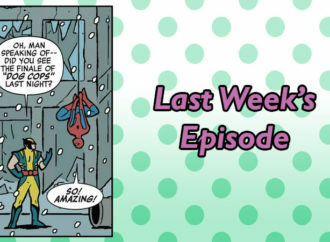 June also brings a new set of Tank Girl Full Color Classics focusing on strips from 1991 to 1992, a new Bloodborne trade paperback, and the penultimate issue of the second arc of Shades of Magic: The Steel Prince. 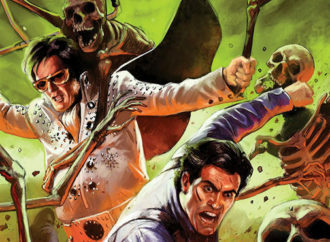 Several upcoming films have companion magazines dropping from Titan in June. The month starts off with a The Art and Making of Godzilla: King of Monsters to coincide with the May 31st release of the Legendary Pictures film. Later that month, we’ll see a Men in Black film companion (just in time for the release of Men in Black International on June 14th), along with a novelization of that film. The month closes out with a companion to Toy Story 4, itself out in theaters on June 21st. While we await the start of the next arc of Shades of Magic: The Steel Prince, we send our congratulations to series writer V. E. Schwab, whose new prose novel The Near Witch debuted at #5 on the New York Times Young Adult best-seller list on March 31st! Shades of Magic: Night of Knives will be available later this month. 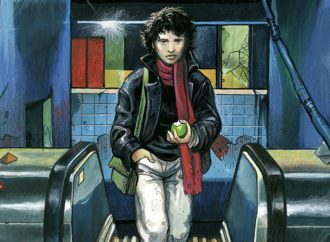 Hot on the heels of the development of the television adaptation of Snowpiercer, Titan Comics imprint Statix Press will release a prequel to the 2013 graphic novel series this September. 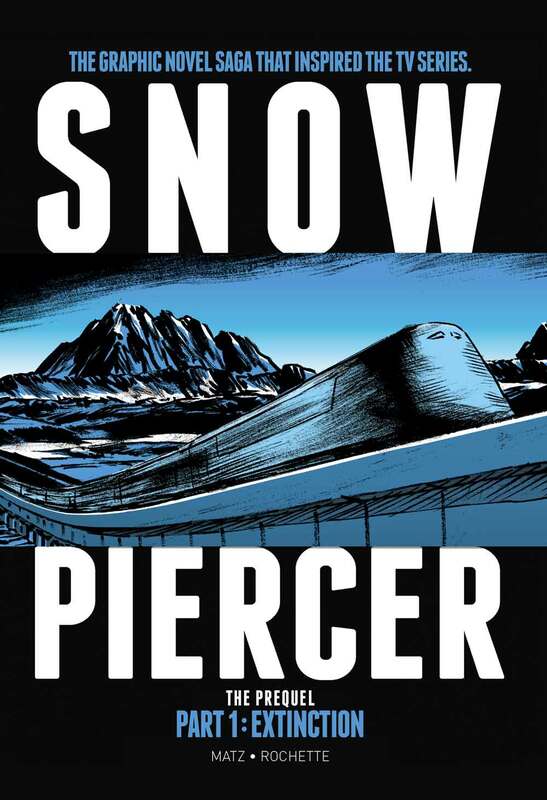 Titled Snowpiercer: Extinction, the graphic novel will showcase the conflict between a group of eco-terrorists who want to speed up human extinction and an Elon Musk-esque billionaire from China with plans to save humanity. Snowpiercer: Extinction will be written by Triggerman author Matz, with art by original Snowpiercer artist Jean-Marc Rochette. The TV series, featuring Jennifer Connelly and Hamilton’s Daveed Diggs, will premiere on TNT sometime this year. Assassin’s Creed site Access the Animus has an interview with Assassin’s Creed: Conspiracies comics writer Guillaume Dorison. In this interview, he reveals how he made the World War II setting of the series feel fresh and unique, the nature of the predecessor to the Animus (Die Glocke), and what other Assassin’s Creed projects he has in his pipeline. An Official Autobiography of… Santa Claus? You may argue it’s too early to think of anything Christmas-related, but Titan is already in the holiday spirit. 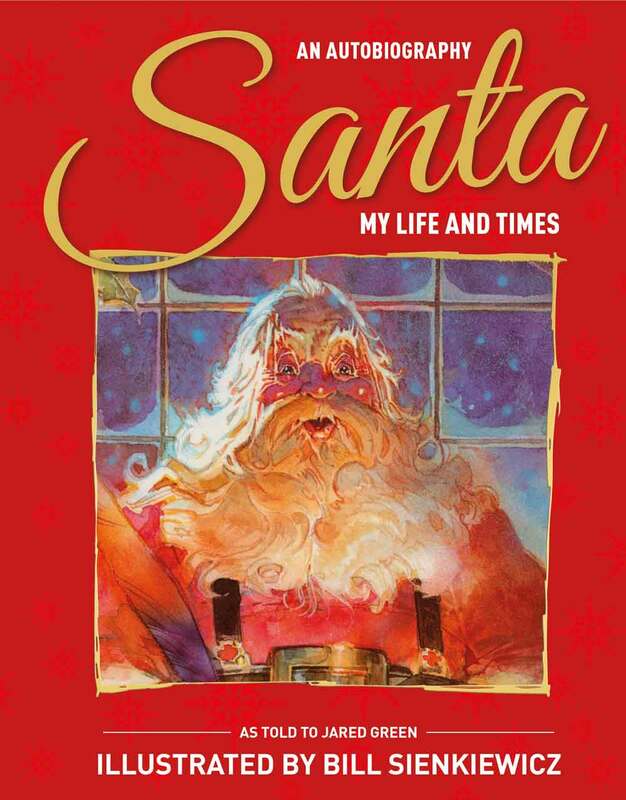 Jared Green’s Santa: My Life and Times, originally printed in 1998, gets a new reprint this fall. Santa: My Life and Times is “the untold, personal story of Santa’s miraculous life—as only he could tell it. Father Christmas recounts the story of his life, from childhood, to the toyshop, right through to the mysteries of his Christmas Eve flight.” With illustrations by New Mutants artist Bill Sienkiewicz, this hardcover edition is designed for families to share in the joy and traditions of the holiday in a new way. 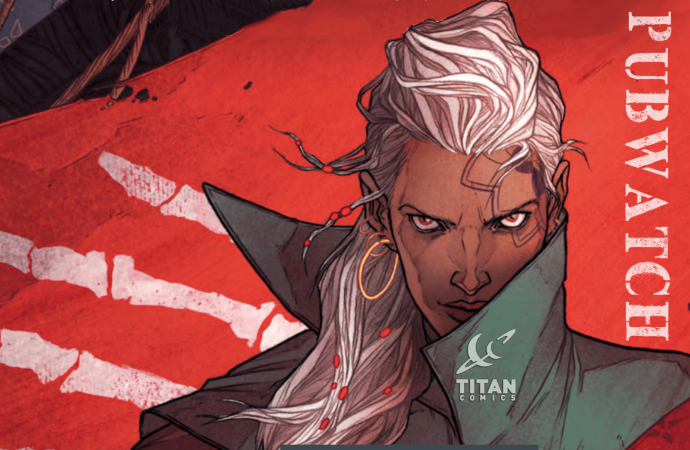 Did you know that if you sign up for Titan’s newsletter, you can get free digital comics? Sign up this month to receive a free digital copy of Robotech #1, perfect if you’re thinking of getting caught up on the series in time for this summer’s “Event Horizon” arc! 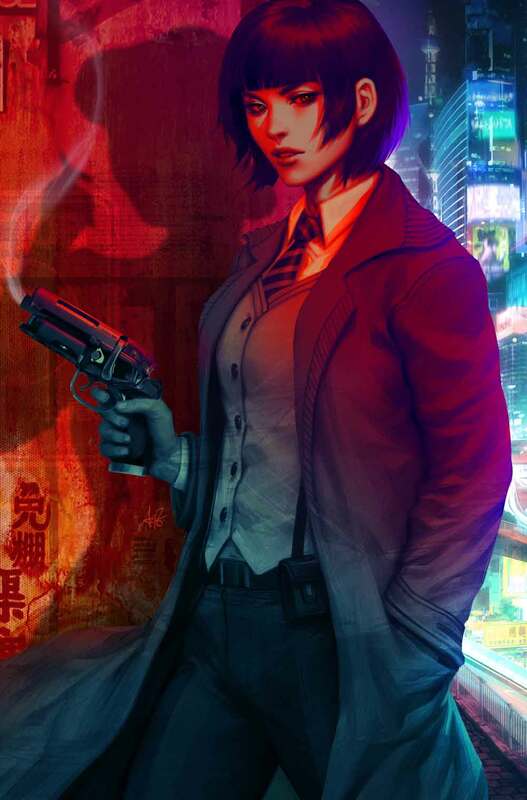 Following up on last month’s news about Titan’s new Blade Runner 2019 series, we have a first look at the first cover, drawn by longtime Marvel and DC artist Stanley “Artgerm” Lau. The cover gives us a detailed look at the star of the series, female Blade Runner Ash. She’s facing off against someone… but who that is remains a mystery. (There is some speculation that it is Rachael, the Nexus-7 Replicant featured in both the original Blade Runner film and 2017’s Blade Runner: 2049). In addition to Artgerm’s cover (which also appears to be featured on the cover of April’s PREVIEWS catalogue), artist Andres Guinaldo debuted his cover for the first issue, featuring Ash facing off against an unseen foe, while a mother and child run to safety. Blade Runner 2019 #1 is set to debut in July, with the first collected volume hitting comic shops in November. Time for a new adventure for the Doctor. And this time, they’re reaching way back to the fourteenth century for it. The TARDIS drops everyone in Guelders, right at the start of the Guelders Wars. It starts as a peaceful tableau, but when our party sees the young Magda fearfully running through the village square, you know things are anything but. The Doctor wants young Magda to be brave, but changes her tune when she sees the true nature of the threat: Stilean Flesh Eaters. And with good reason, as one of them decides to take a bite out of the Doctor. This issue has the tight storytelling I wanted from the first arc, focusing more on action and less on world-building. It nails the spirit of the TV show beautifully. There’s still some aspects I don’t find plausible. How is it possible that the Doctor never heard of podcasts? But moments like that put the Doctor and her companions on equal footing. Doctor Who is its most pleasant when its star doesn’t talk down to the humans. The strange contouring and shading on faces, a point of concern in previous issues, returns, and there’s one panel where it appears the pupils of Yaz’s eyes are missing. 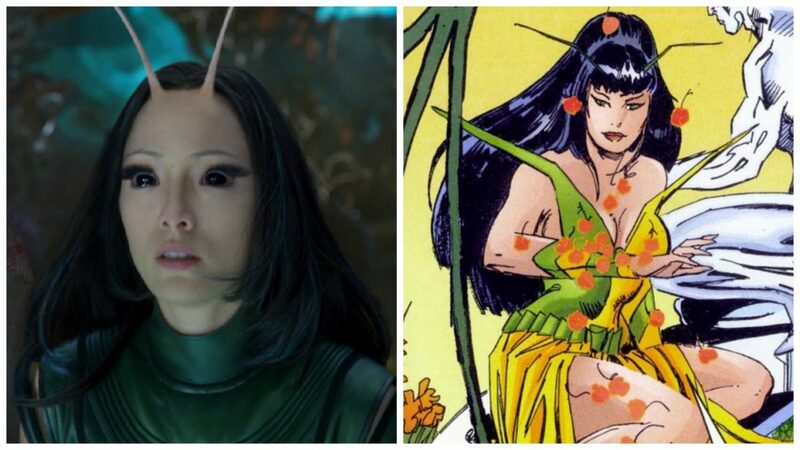 (It does give her an alien look, which makes me wonder if that is a clue to some aspect of her fate.) The Silurian Flesh Eaters look like they are straight out of the actual Silurean geologic period. Knowing the show’s original intent was for education, it’s a nice callback to its roots. Enrica Eren Angiolini shows off her effective and varied coloring skills, from the peaceful pastoral village to a Technicolor vibrant splash page in the middle of the issue featuring the Doctor. We have no clue what the Doctor and friends will face in this new arc. From the looks of this kickoff, it’s going to be an exciting, well-crafted adventure. 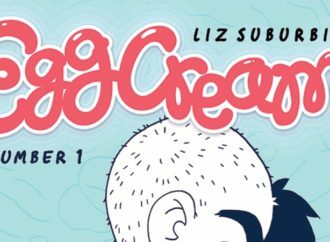 Time to dive into Tank Girl’s past with a new omnibus collection! In 2010’s “Skidmarks,” Tank Girl goes Speed Racer on a very illegal high stakes road race to help pay her friend Barney’s hospital bills. No mountain pass or arid desert will stop Tank Girl, but her competitors just might. “Carioca” (from 2012) is Tank Girl and Booga’s story of TV game show humiliation gone very wrong, with Tank Girl hell-bent on extreme revenge. “Skidmarks” has more of the modern Tank Girl’s hallmarks in scripting and art. It’s a more feminist, more compassionate, but no less badass Tank Girl. There’s some gratuitous jokes about big-breasted women throughout, but Tank Girl has a very modern look and feel. Rufus Dayglo gets her punk sensibilities right, and even those who spend small amounts of time on the page see a hefty dose of personality in their artistic crafting. The weakness here is in the story’s presentation, mixing both the title pages for the strips as they appeared in the Judge Dredd Megazine and the four issue Titan miniseries. It makes it difficult to follow along, and I wish that Titan streamlined these elements for omnibus publication. On the flip side, “Carioca” was nothing more than a pastiche of gross-out jokes and disparate plot elements that made sense in the end, but left you repulsed when you got there. This is Tank Girl pushing the limits of violence just for violence’s sake. If the intent was to see how far censorship would go with this kind of story, then it succeeds. It does not succeed as a story that celebrates the essence of Tank Girl. Artwork that takes influence from MAD Magazine serves well to execute on the parade of violence and fits the tone well, but it’s a different look to Tank Girl that casual readers will find hard to appreciate. If you want to dive into Tank Girl’s past, you may be better off picking up “Skidmarks” individually. “Carioca” drives down the value of this omnibus.